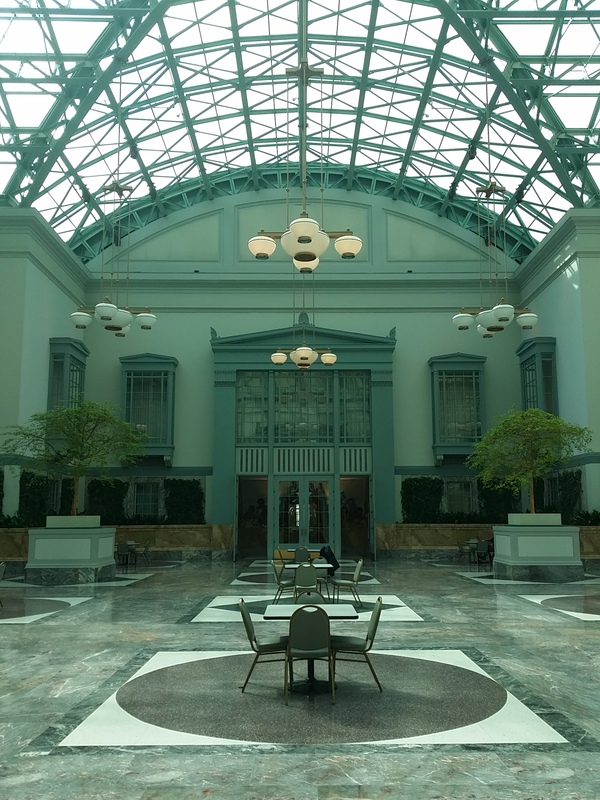 I had a chance to take a mini-getaway to the Windy City this past weekend. Chicago is one of my favorite places to visit! When I’m on vacation my top priorities usually center on what museums I am going to visit and what I am going to eat—and this trip was no exception. I got a chance to see a really spectacular retrospective of early 20th Century American painter Archibald Motley at the Chicago Cultural Center and then tackled the Art Institute to visit some old favorites. Did you know: the Art Institute of Chicago is home to one of Viktor Schreckengost’s iconic Jazz Bowls? Indeed, the pride of our own Cowan Pottery Museum has a cousin in Chicago. Of course I took a photo. 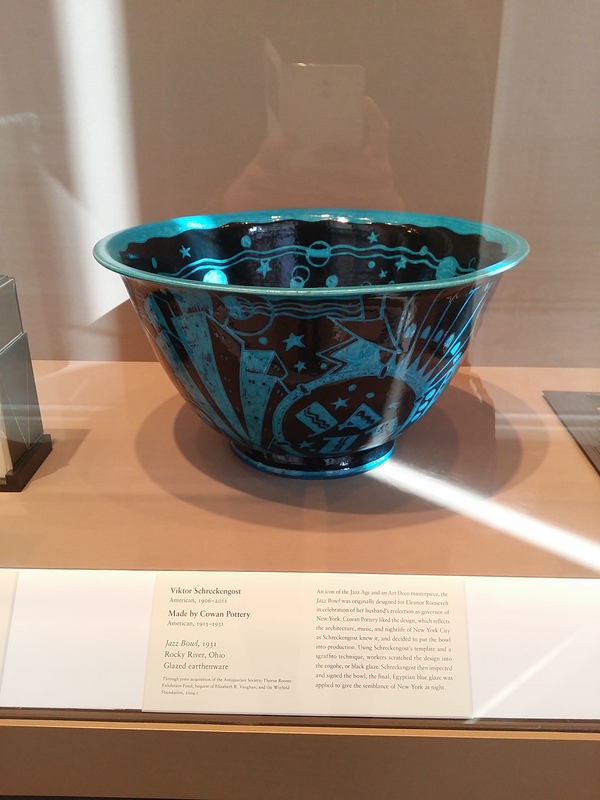 People probably wondered why I was so drawn to a funky blue punch bowl while surrounded by some of the most famous paintings in the history of American art, but I didn’t mind (I did the same thing last September at the Smithsonian! ).